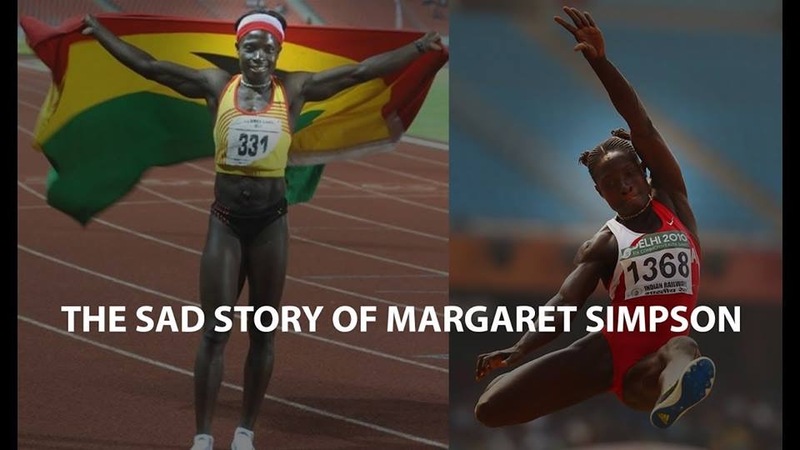 Ghana’s finest heptathlete Margaret Simpson now sells palm oil in a local market to make ends need in life. 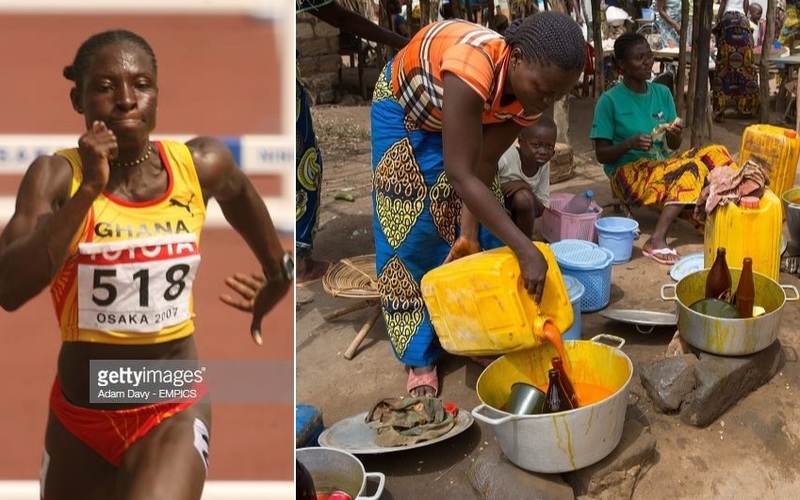 The 36-year-old is seen in a video breaking down in tears as she reveals how Ghana has left her without paying her allowances for winning multiple gold and silver medals for the West African country. 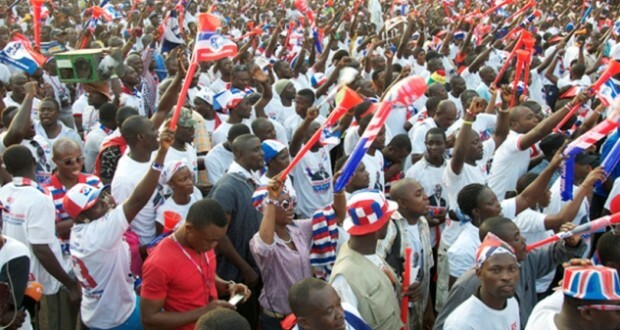 Simpson is appealing to Ghanaian President Nana Akufo-Addo to step in helping her recover her unpaid allowances from Ghana’s Ministry of Youth and Sports. 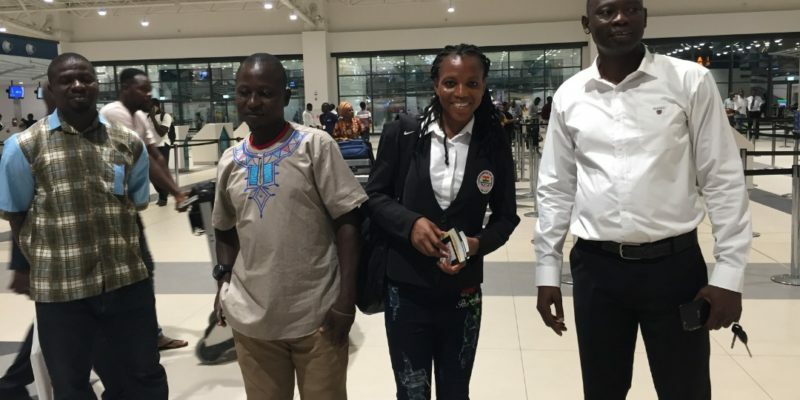 The Ministry of Youth and Sports is yet to honour its obligation to the athlete, who won Gold at the African Championship at Porto Novo in Benin, 6 years ago. 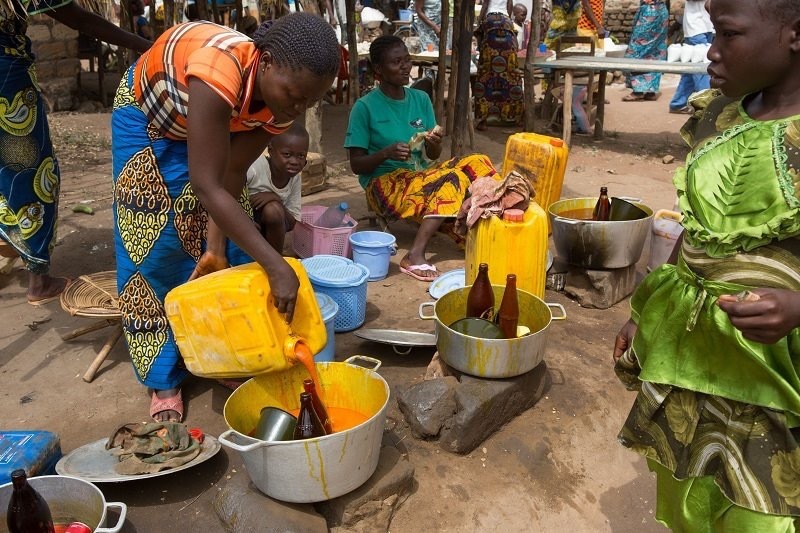 Simpson is currently struggling to keep her home as her mother is bedridden, fighting for her life, forcing her to engage in palm oil sale to make a living. In one of her earliest international senior performances, she placed fourth at the 1999 All-Africa Games. 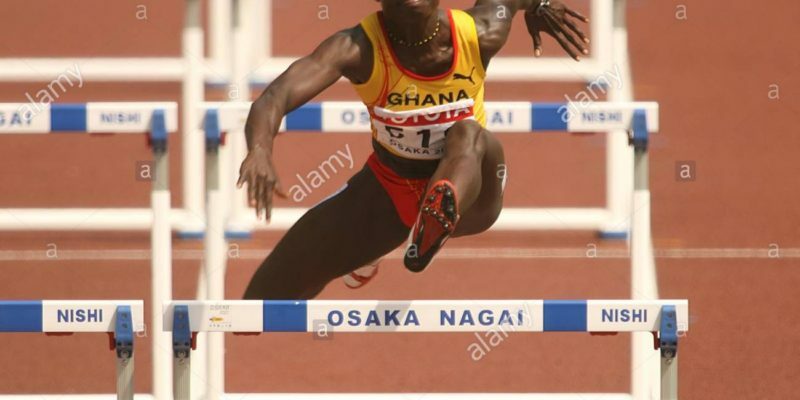 She was the junior champion at the 1999 African Junior Athletics Championships, but failed to finish in the event at the 2000 World Junior Championships in Athletics. She was selected for the heptathlon at the 2001 World Championships in Athletics and placed 13th overall. Senior success came the following year as she took the bronze medal at the 2002 Commonwealth Games and then won the heptathlon gold medal at the 2002 African Championships in Athletics. She failed to finish at the 2003 World Championships in Athletics. In 2004, Simpson became African Champion for a second time and followed this result with a ninth place at the 2004 Athens Olympics. Simpson reached the global podium for the first time at the 2005 World Championships in Athletics, taking third place with the second best performance of her career with a tally of 6375 points. She had set a personal best of 6423 points at the Hypo-Meeting earlier that season. She missed the 2006 season but returned the year after with a gold medal performance at the 2007 All-Africa Games. She failed to finish at the 2007 World Championships in Athletics later that season. She missed all of the 2008 season after this. She was off form in 2009 and registered a season’s best of 5872 points at the Meeting International d’Arles. She was back to good form at the 2010 African Championships in Athletics, where she won a third heptathlon title in a score of 6031 points. She also managed eighth in the high jump for African at the 2010 IAAF Continental Cup. She won the 2011 edition of the Multistars meeting in Desenzano del Garda with a score of 6270 points, defeating the 2010 champion Marina Goncharova. She was fourteenth at the 2011 World Championships in Athletics and won a third straight title at the 2011 All-Africa Games. She won the African Combined Events Championships in both 2011 and 2012. She withdrew from the heptathlon at the 2012 Summer Olympics due to a kidney infection. Simpson is renowned for her strong javelin throw, her personal best in which is 56.36 metres.